Submitted by ajasaro on Thu, 09/06/2007 - 9:27am. Bonefish Grill is an American casual dining seafood restaurant chain owned and operated by Bloomin' Brands, headquartered in Tampa, Florida. 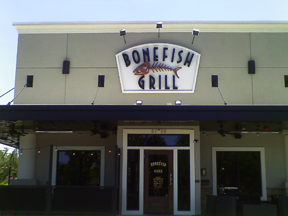 Nationwide list of Bonefish Grill restaurants. Recommended dining. Added 2 locations: Plantation, FL & Brandywine, FL.